Imperial War Museum Duxford in Cambridgeshire, is Britain's largest aviation museum. 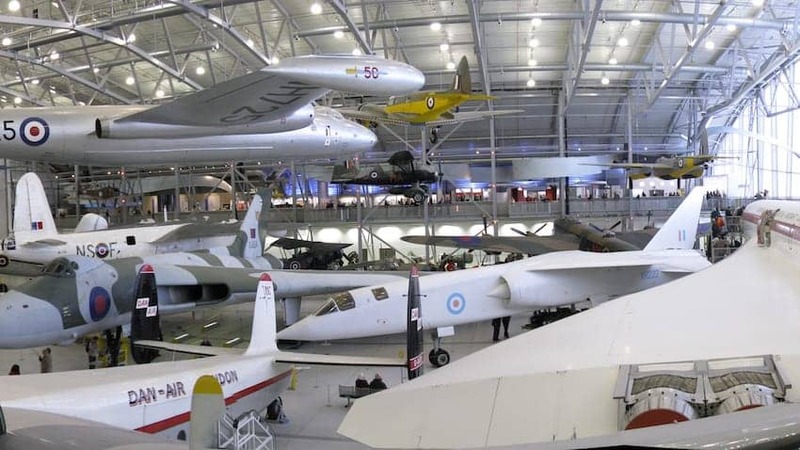 It specializes in large exhibits, including nearly 200 aircraft, military vehicles, artillery and minor naval vessels and tells the stories of people who lived and worked at Duxford. There are a number of British Army regimental museums, including those of the Parachute Regiment and the Royal Anglian Regiment. During the Second World War it played a prominent role during the Battle of Britain. Many of the original buildings, such as hangars used then, are still in use and the site is still an active airfield.